Dog-friendly studio in quiet location - shared hot tub, great outdoor adventure! Property 2: Dog-friendly studio in quiet location - shared hot tub, great outdoor adventure! Property 6: Pet Friendly. Close To Arches National Park, Canyonlands, And Colorado River. New fixtures & convenient amenities create a great home base for outdoor fun! Property 15: New fixtures & convenient amenities create a great home base for outdoor fun! Moab Townhome w/ Pool Access & Stunning Mtn Views! Property 16: Moab Townhome w/ Pool Access & Stunning Mtn Views! Stunning Tiny Park Model Homes Brand New!!! Property 17: Stunning Tiny Park Model Homes Brand New!!! Rustic Get-Away Near The La Sal Mountains 35 Miles Southeast Of Moab, Utah. Property 23: Rustic Get-Away Near The La Sal Mountains 35 Miles Southeast Of Moab, Utah. Property 30: 3 Bedroom Mountain Cabin w/ stunning views! Sleeps 6. Amazing townhouse near Arches w/shared seasonal pool/hot tub! Property 32: Amazing townhouse near Arches w/shared seasonal pool/hot tub! Stunning Tiny Park Model Homes!!! Property 40: Stunning Tiny Park Model Homes!!! Property 41: Modern desert retreat w/ gorgeous mountain views & private hiking trails! Pool, Hot tub, Double garage, WI-FI, AC !!!!! Property 43: Pool, Hot tub, Double garage, WI-FI, AC !!!!! 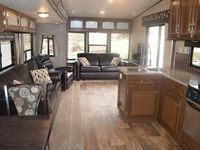 Dog-friendly home w/shared hot tub in quiet neighborhood - 14 miles to Arches! 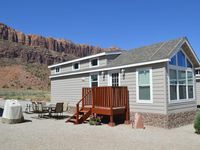 Property 44: Dog-friendly home w/shared hot tub in quiet neighborhood - 14 miles to Arches! Moab Condo w/ Pool Access - 3 Miles to Downtown! Property 48: Moab Condo w/ Pool Access - 3 Miles to Downtown! Our tiny home was awesome! We loved everything the campground and surrounding area had to offer! The home was equipped with everything we could possibly need and the laundry was a major plus! Everyone was extremely friendly and we will definitely be back for another adventure. Great spot. Quiet...Clean. Everything works. Everything we needed.